One of Christian Behrend Doscher’s most egregious attempts to deceive me took place in 2008 while he was posing as “spirit5er” on TheologyWeb. It took me until 2016 to find out the whole truth. I accepted Holding's $20,000 price tag for an oral debate at a location, date and time of his choosing, on a biblical subject of his choosing, in front of any audience of his choosing, then asked for the name and number of his pastor to facilitate the deal, guarantee his promise to debate and transfer the money. Nope. He refused to give the information on his pastor (like Holding really goes to church?! ), unless I PM'd him with an electronic scan of my bank statement showing I had at least $20,000 in my account. When I objected that people sending bank statements to people they don't know on the internet is absurd, and they can be easily photoshopped anyway (bank statements being little more than letters, lines and numbers, how hard is that to alter? ), he replied that he knows experts who can tell whether a scan that shows my name and money-amount, has been photoshopped or not. As if the prospect of meeting personally with his pastor to facilitate this deal upon his agreement to debate, was somehow more prone to deception and falsification than his ridiculous face-saving suggestions. I had plenty of suspicions about “spirit5er” so I never told him a thing. I also strung him along about his offer of $20,000, knowing that it was likely to be false. I had no idea just how false it was until 2016, when I started collecting documents from Doscher’s old lawsuits in the midst of his libel lawsuit against me. So, let’s put the pieces together. In 2008, the same year he was often homeless and living in his car, Doscher was also offering me $20,000 to engage him in a live debate. This was in spite of the fact that he couldn’t even afford to spend the money for gas needed to turn the heat on in his vehicle in the dead of winter. It’s kind of ironic. In 2008, he offered me $20,000 he didn’t have to pay me for a live debate. In 2016, a judge ordered him to pay me just over $20,000 to cover my attorney fees. One way or the other, he’s destined to pay me that amount someday. It just remains to be seen how. It's been published now because more than anything else, Elliot wanted to be sure it could get into the hands of others who needed the information it provided. That's also why the price has been set extremely low (99 cents) -- as low as Amazon would allow, actually. I will be back again later in September. In the meantime, we hope that this final work by Elliot will be a blessing to all who read it. A few weeks ago, we received the sad news that a dear friend and colleague had passed away. 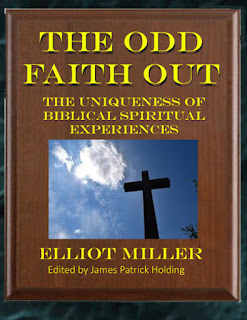 Elliot Miller was the chief editor of the Christian Research Journal, and for many years he was an active presence in apologetics for the Christian Research Institute. Elliot was also a good friend of mine, and he and our wives would get together at least twice a year in person to enjoy our shared interest in natural wonders and hiking at state parks. He and his wife were also among the only people we knew who also enjoyed visiting museums and other informational exhibits. We met this past weekend with his wife to see her one last time before she moved back to California (though we also plan to visit here there in coming months). He and Corinne had moved to Florida some years ago, to semi-retire, which is how we started the tradition of meeting twice a year. They lived down on Florida's southeast coast, a two hour drive away from us. Elliot had a great sense of humor. I showed him a few of my TektonTV videos, and he always got a hearty laugh out of them. I remember he especially enjoyed the one where I used the fiction of a time machine to bring together versions of Hal Lindsey from various decades (70s, 80s, 90s, and 2010s) who then confronted each other with their own errors. Like me, he had little patience with the constantly erroneous end times salesmen who kept changing their tune each time their predictions went awry. He was also a prolific writer, and his volumes of research work, especially on cults and Eastern mysticism, will continue to provide value for seekers in the years to come. And of course, he was an able juggler of the many responsibilities that went into editing and publishing the leading Christian apologetics journal in the world. I offer this tribute as a way to say goodbye to him as a friend and colleague, but also to say that there's a certain torch I have pledged to take up for him, and that will be gladly occupying my time for a while. I'll release more details when they become available. We will miss you, Elliot. See you again soon. For example, suppose a student comes into the room and says, “Hey-I have a stewed tomato in my right tennis shoe. This tomato has changed my life. It has given me peace and love and joy that I never experienced before.” It’s hard to argue with a student like that if his life backs up what he says. Yes, it's hard to argue with a student like that, but it's not because his life backs up what he says. It's because we long ago fell into this trap where subjective experience trumps objective fact. In an objective sense, you could run that student in circles with arguments on why the stewed tomato isn't that cause of his peace. The most obvious point is that it has the bearing of the tail wagging the dog. But the real reason you can't argue with this student is because all the relevant data is locked away in his skull behind a wall of what some politely call confirmation bias. You can't argue with it if the student wants it to be true. The corollary point to this is where we segue into Duplantis' $54 million excursion into foolishness. This is just the latest of so many examples. (Who remembers Oral Roberts saying God would "call him home" if his followers didn't pony up $8 million? Oral's people were getting a relative bargain.) It is also the fruit of the stewed tomato trap. Under the assumption that you can't argue with experiences of peace, love and joy, it follows as a corollary in the minds of critics that you also can't argue with expressions of greed, selfishness, and dissatisfaction. Christianity (the stewed tomato) has changed Duplantis' life this way? No thanks. Directions to the nearest Buddhist temple, please. McDowell used the stewed tomato analogy a lot in his time. It was no surprise then that when I asked him some questions many years ago, he said that he never started with apologetics when talking to people and that his apologetics works were not meant to be evangelistic tools. He said as much as well in Evidence That Demands A Verdict: His goal was to use apologetics to answer questions so he could get back to presenting the stewed tomato. Attitudes like this are no aid to apologetics, and foolish excursions like the one Duplantis is on only make the job of apologetics harder. Thanks to the stewed tomato trap, it is hard to argue against it. Christianity vs. The Modern World? Today I have a guest piece by regular E-Block contributor Caleb Strom. This past November, there was an international Flat Earth Conference where people from around the globe gathered to talk about the fact that Earth is not a globe. The irony is hard to ignore. I have been hearing more from flat earthers in recent years. Ten years ago, it seemed that almost all flat earthers were trolls and that the only genuine flat earthers were obscure tin-foil hat wearing conspiracy theorists who only existed on shady internet discussion forums where topics such as Barack Obama being a Reptilian and the Holocaust being a hoax were also common subjects of discussion. For the most part, that remains to be true. All flat earthers I have encountered are conspiracy theorists. One thing that is different is that they are much more vocal than they used to be. Certain flat earthers are now traveling to different churches giving talks about how the modern scientific cosmology is a deception to lead the world astray and pave the way for the rule of the anti-Christ. I wish I was joking about the last part. This increase in the ubiquity of flat earthers may be related to the general distrust that people have of experts these days in the wake of the recent election. This is after all, the age of alternative facts. If you don’t want to believe experts about politics, Earth’s climate or whether vaccines cause autism, why believe experts about the shape of the earth? At any rate, what I found striking about this flat earth phenomenon that relates to Christian apologetics is that these flat earth believers sounded exactly like new atheists. These flat earth believers, like new atheists, believe that modern science and the Bible are incompatible. The only difference is where they fall on the divide. For new atheists, since the Bible and science appear to contradict, the Bible must be wrong. For the flat earthers since their interpretation of the Bible and modern science contradict, modern science must be wrong. Heliocentrism, the sphericity of the earth (it’s technically an oblate spheroid), and most of modern physics are seen by these flat earthers as being anti-Christian and an attempt to undermine Biblical authority and the Christian worldview. This is in spite of the fact that the scientists who championed heliocentrism originally were devout Christians. In fact most of the founders of modern science were Christians whether you look at astronomy, physics, biology, chemistry, or even geology. This is interestingly the exact same argument I would use if I was talking to an atheist who was telling me that Christianity was anti-science. Both groups interestingly display the same simplistic binary thinking with respect to Christianity and science and both seem to have accepted the conflict thesis, that science and religion are always in conflict. Although I am not worried that flat earthers are going to take over Christianity, what this odd little collection of conspiracy theorists reflects is more troubling. It reflects the larger reality of how many Christians have bought into the idea that modern science and the modern world in general are a threat to Christianity. Many see Christianity as outdated in an age of electricity, nuclear power, democracy, capitalism, and technology that can send us to other worlds. Christianity seems like outdated superstition to many. It is not just non-Christians who believe this but Christians as well. Another, more serious version of this view of Christianity and the modern world being in conflict is the more recent Benedict Option in politics to withdraw as the culture becomes increasingly post-Christian and anti-Christian. Is it true? Do we have to now simply withdraw from the modern world and try to reconstruct the world of the Middle Ages when orthodox apostolic Christianity was synonymous with reality as far as the culture was concerned? Simply going back to the Middle Ages, the Byzantine period, or any other time perceived as golden age for Christianity is not possible, and it is probably not desirable either. Although there were good things about the Middle Ages, there were other things about the Middle Ages which were not as good and the modern world is a legitimate improvement in those areas such as living standards. I also do not think it is necessary. First of all, much of the modern world was brought into being partly because of Christianity. Modern western science, political thought, and economics were all influenced by Christianity in one way or another even if they have all gone astray recently. If they were once in line with Christian thought, they can be brought back into alignment. This of course will require Christians to think seriously about how their faith relates to the world and how they can show that Christianity has relevance in these areas and not simply deny reality and accuse everyone who disagrees with them of being a conspiracy theorist. Another thing to consider is that just because the modern world is in some ways in conflict with Christianity does not mean it can never be reconciled. 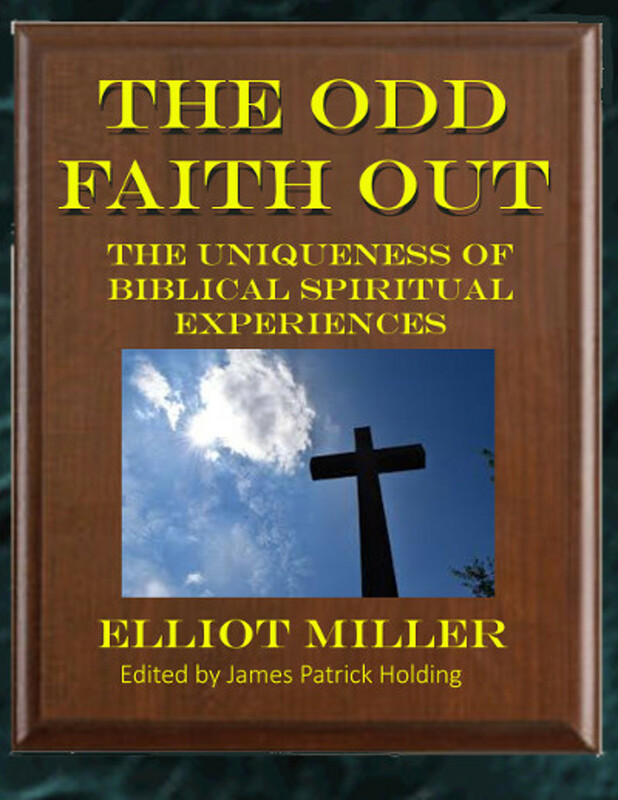 Christianity grew up in the context of the pagan Greco-Roman world which was at first very hostile to Christianity. Over time however, the early church fathers and other theologians such as Saint Thomas Aquinas and Saint Augustine were able to find ways to connect Christianity and the Hellenistic world to show that they had common ground. In a few centuries, Christian theology and classical thought had been so completely reconciled that it was hard to tell the difference between Catholic Christian thought and Aristotelian thought. In Hellenistic times, there were also Christians who thought that the Hellenistic world and science were at odds with Christian thought. The monk Cosmas Indicopleustes, who was one of the very few early Christian writers to actually believe in a flat earth, believed that all Hellenistic thought should be rejected because it was pagan. That is in fact why he rejected Ptolemaic geocentrism, the mainstream science of the day, because it was a Greek idea, and thus, in his mind, a pagan one. This struggle in the early Church over how to relate to the Hellenistic world sounds rather similar to the modern struggle in the church with adapting to the increasingly non-Christian modern world. If the early Christians were able to reconcile their faith and worldview with their world, why can’t we do the same with ours? This is one of the purposes of apologetics, taking ideas that may be contrary to Christianity and molding them so that they can be reconciled with Christianity. We should not run from modern science or deny it, but engage it and show that Christianity is not in conflict with it but can be reconciled. We also need to do this with the rest of the modern world. In the same way that Medieval theologians created a grand synthesis of Christian and Classical thought, perhaps in our age, we need a synthesis of Christian and “modern” thought.